The character Mouchette has committed suicide but the artist who told her story has rescued her from oblivion, and taken care of the actress after she’d dived into the water. I also dream of being rescued, of being carried in somebody’s arms out of the waters, out of death. I never get enough of this picture. 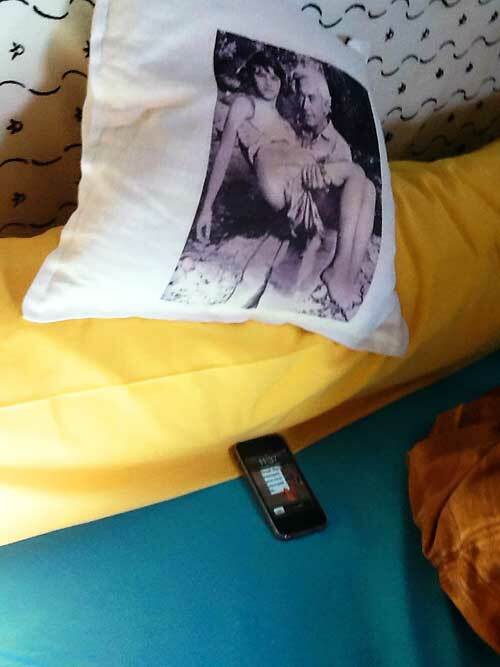 I printed it on my pillow. I sleep on it every night. Robert Bresson is handing Mouchette over to me. Can I rescue her? I am strong enough to carry her over to her next life, to her next medium? Is that the meaning of my life: carrying Mouchette? 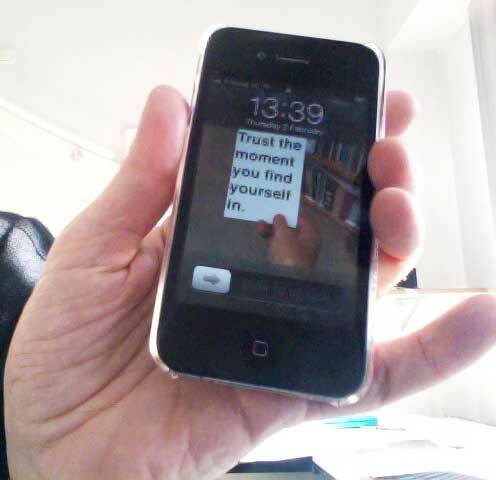 And for those who noticed the Iphone next to the pillow, this is what the lock screen says: Trust the moment you find yourself in.